I actually received this at the end of June (June 27th!) but my day job has been a bit crazy as of late and is interfering with my ability to enjoy my new goodies. This is the last one I’m going to be getting for awhile because I’m running out of storage space for everything I’m getting! Avecko is a magical service that allows you to buy things not normally available to people outside Korea. You submit links of items, beauty or otherwise, to Avecko who orders and receives the items, then boxes everything up and ships it to you, wherever you are in the world. This is my third order with Avecko. You can read about my earlier haul here. Total product cost + 10% handling fee came out to $39.62. Shipping came out to $22.20. Whamisa items purchased from GMarket. Scinic item purchased off of 11st. 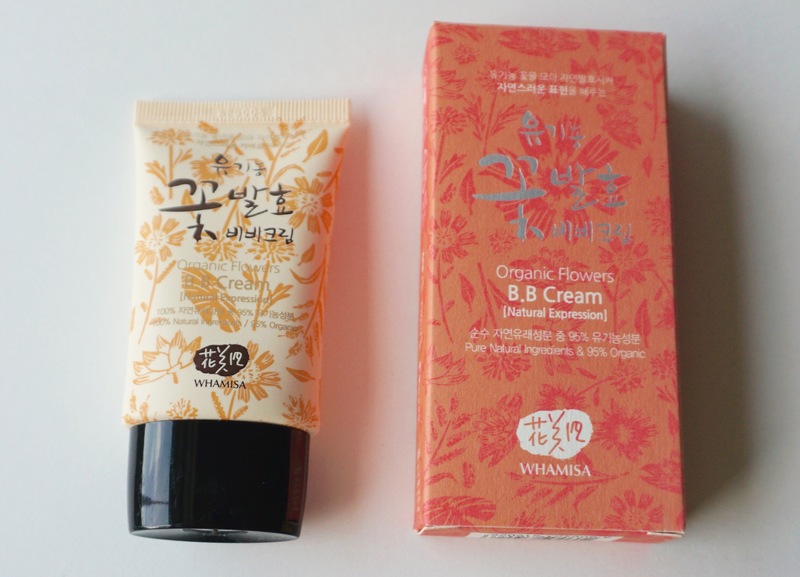 Whamisa Organic Flowers BB Cream. This is a really strange product (review coming up real soon I promise!). I’m thankful they listed the ingredients in English, but could they have picked a more difficult color scheme to read? 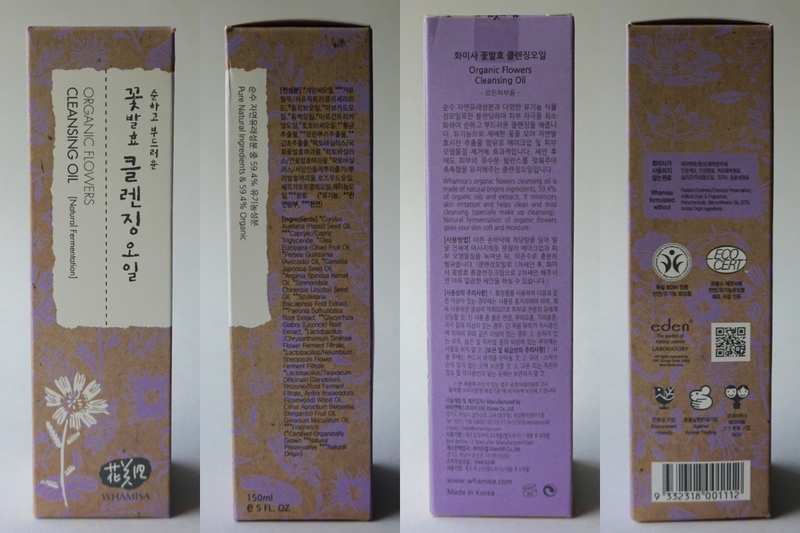 Whamisa Organic Flowers Cleansing Oil. 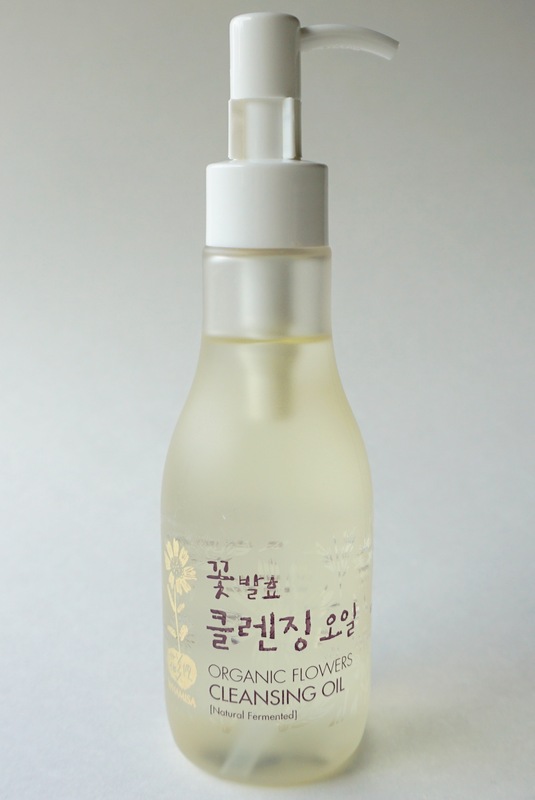 I got this to replace my Innisfree Apple Juicy cleansing oil. The bottle is plastic but a really pretty addition to my bathroom counter nonetheless! 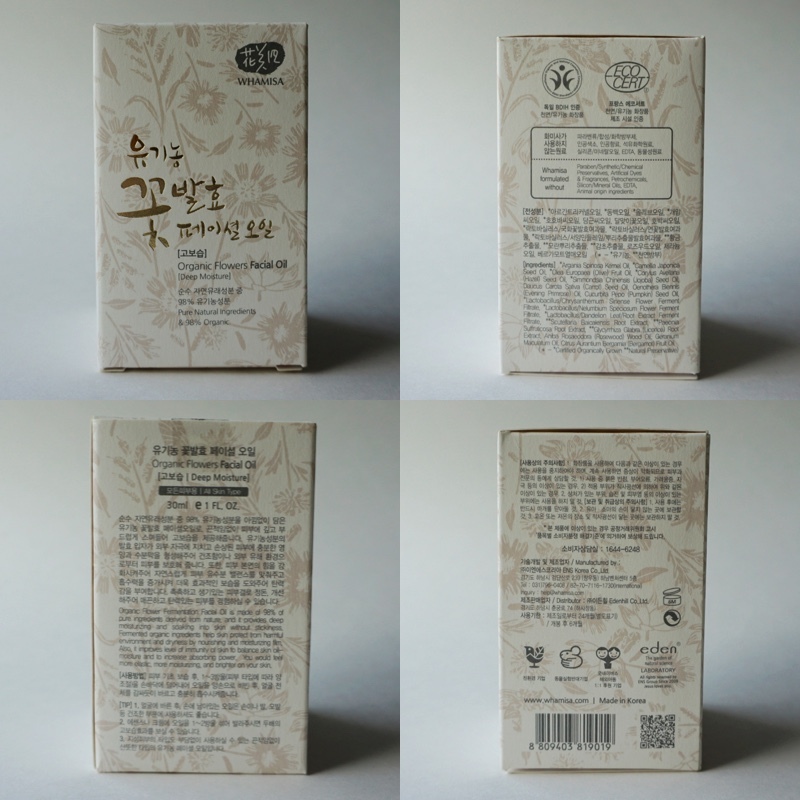 Whamisa Organic Flowers Facial Oil. Can’t lie, Sunday Riley Juno is the facial oil I really want, but this one will do in the meantime. Also, I just signed up for Pocketderm, which I’ve heard can lead to flakiness, so I’m trying to up my moisture game. Scinic All in One Honey Ampoule. This one I got because of all the rave reviews out there. I’ve been let down by a number of HG-for-others items (ahem, Clean it Zero, Benton essence and steam cream) but I have high hopes for this one! I think the retail prices are lower but also they might have trouble selling through in Korea or something! 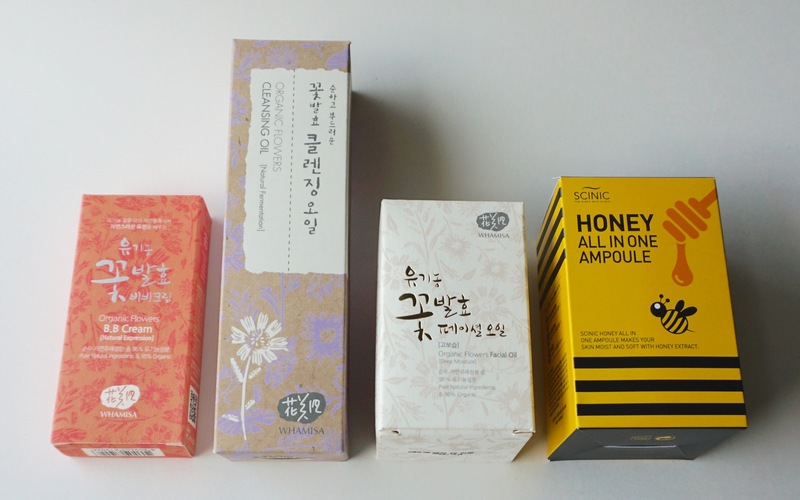 I’ve been dying to try out that Scinic honey ampoule! I keep seeing the Shara Shara one, but the ingredients for this one seems so much better :O Can’t wait to see what you think of it! I have not been impressed with the same HGs but I actually quite like the Scinic honey Ampoule so far. I’m not getting any reply from Avecko 😦 How was your experience with them – do they reply within days or hours? avecko.com@gmail is the one that usually works for me. They’re not SUPER communicative though… the few times they’ve been silent things have turned out ok for me, but it is super frustrating. How was the Organic Flowers Facial Oil?? It smells like normal argan oil and performs about as well as normal argan oil. The bottle is nice and pretty though and I plan on refilling it with something else when I run out! I tried to order Whamisa items on GMarket but it seems like nothing ships to U.S. or Canada 😦 How did you get yours shipped? Hey VanityRex! 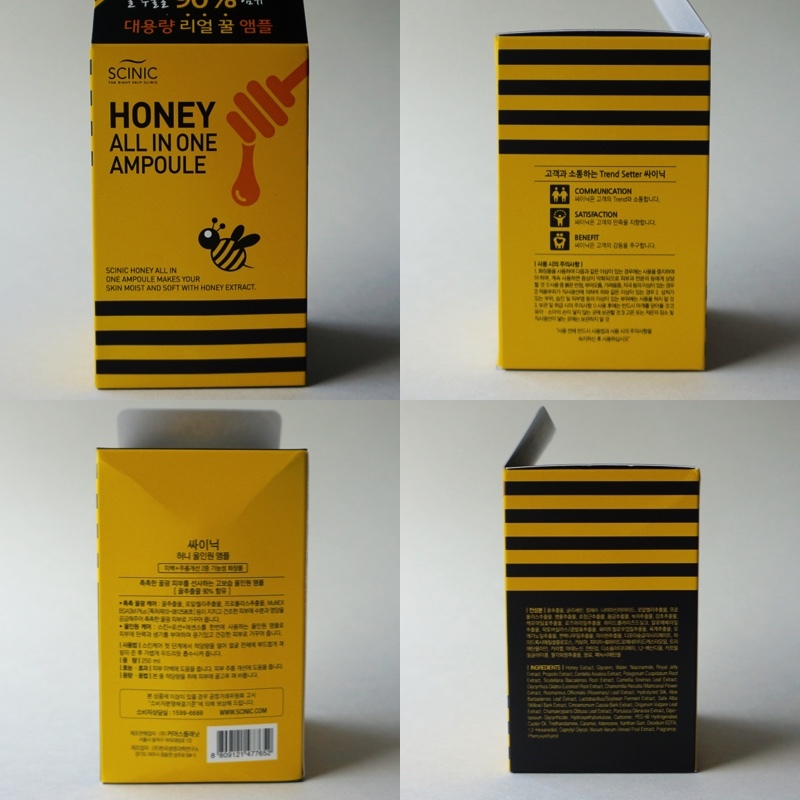 How is the performance of Scinic Honey AIO Ampoule? Heard many nice reviews about the SharaShara one instead of it… now I’m torn on which one should I get! So please make a review about the Scinic one — does it leave a little bit sticky film after applied? Hey there! I will try to get a full review up in a few days! To summarize I really like it! I’ve never used the Shara Shara one so I can’t really compare, but the Scinic one is really nice to apply and full of great ingredients! It definitely has a bit of stickiness so I only apply a tiny amount when I use it. The exception there is sometimes I’ll apply more and slap a sheet mask on over it (I do this mostly to use up sheet masks I don’t love). 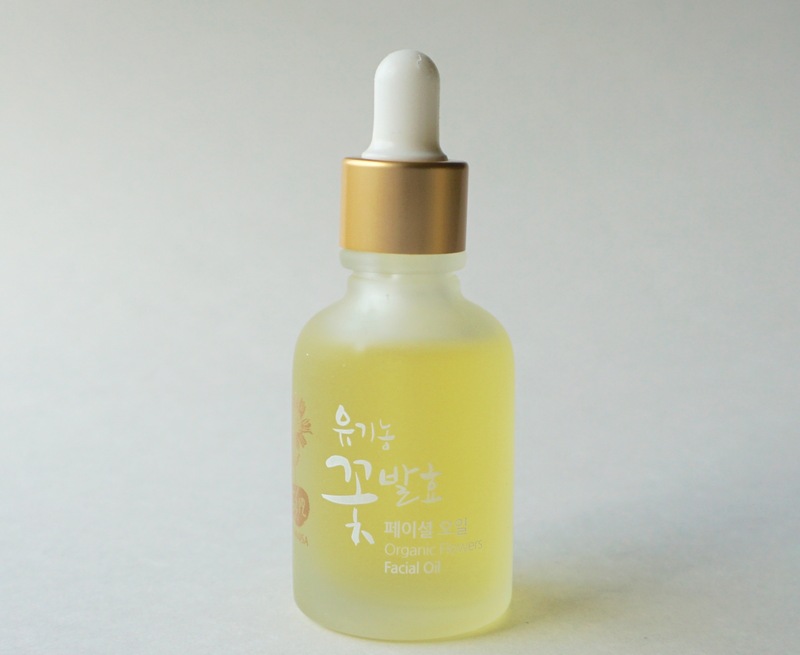 I do have a similar ampoule (let’s cure honeybunny propolis ampoule) that I like more but it’s a bit harder to get ahold of and more expensive by the ml.